Choose 15 different honey stixs below as they come in packs of 10. You'll get 150 total straws. If you pick more than 15 choices your order will be delayed. No worries as the stix varieties will be in their own ziploc bags and labeled so you'll know what is what in each bag. 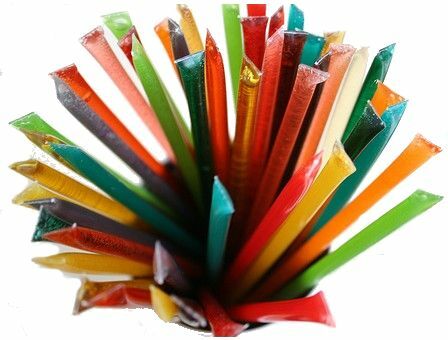 In this pack - get 15 different varieties of honey straws in packs of 10, so 150 straws! (i.e. get 30 clover, 70 orange blossom, 50 raspberry, etc). Simply add the item to your shopping cart. You can let us know by typing in the varieties and quantities in increments of 10, desired in the "comment" box which is located by the credit card info on the checkout page. I have been ordering these for several years now. My daughter absolutely loves these and so do her kids! She gets a variety box every year from me for Christmas. The flavors are fantastic and they make a satisfying snack. 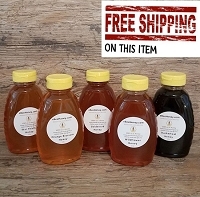 I will continue to order from eBeehoney. They have a great variety of flavors and they ship quickly! The product arrived within only a few days. The quality is excellent! Will definitely buy again! Very tastey, good flaovers available. Delivered quickly. Purchased this for my girlfriend's daughter for Christmas. Out of 15 flavors, she liked 13, which is a pretty good ratio. They were packaged well and shipped even faster than expected. I recommend the product and company. Thanks. Honey Sticks taste amazing. I've recommended to my friends and will order more. This is the second time I've ordered from ebeehoney and they don't disappoint! I give sticks out as part of Christmas baskets and of course keep plenty at home. The different flavors are nice for a little change but you still get the nutrients honey has to offer. Once again, a big hit with my grandson and his friends. Haven't found one flavor yet that isn't delicious. Every Grandma should have some in her pantry! I bought these for my wedding reception to give as part of a thank you. I received 15 different flavors and they are all great. The shipping was fast and the product was well packaged. I'm very excited to be sharing these with my guests! I love the fast shipping from E. Bee honey. kids at my Farmers Market love Honey Sticks. Loved all the flavors we purchased . We will definitely be purchasing more in the future ! Product shipped quickly. Tastes great and love the convenience for packing in lunches or purse for hypoglycemic family members. 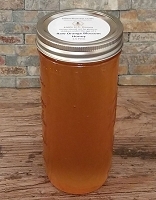 The variety honey sticks made a huge impacted on our products. Will be purchasing more products. A friend recently introduced me to honey stix. 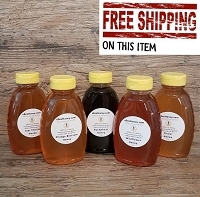 I found eBeeHoney.com and ordered a variety pack. My daughter and I absolutely love these! They are a great snack for after school and easy to pack in a lunch box! I will be ordering many more! The honey sticks are great! I bought them for my basketball team to use before a game to give them energy and they love the flavors. My daughter even took some back to college! The price was pretty reasonable too! I will be ordering more in the future! Thanks!!! I absolutely love our honey sticks. And ebeehoney was awesome and fast and they even emailed me about the shipping cost cause the website wouldn't let me pick the cheaper cost. I will be ordering from this company for a long time. Excellent customer service! Delighted with our quick shipping and quality/taste of our honey sticks!!! I purchased the honey stix (not my first order) to use as a sticking stuffer for my wife. She loved the first order and loves these even more. I bought all of the sour flavors and they are her favorites! We will be purchasing more once she finishes the ones we have. Thanks again!!! I am a real estate agent and also an interior decorator. I purchased the honey sticks so that I could include them with a tea bag that I but in a colorful match-book kind of cover. I include my business card and put a little bag on the front door of homes in my neighborhood. I am always trying to think of new ways to stand out when I do my marketing and my daughter told me that this idea is by by far her favorite. I bought these for my 16 year old nephew and he loves them. This is my first time ordering honey sticks online as we can get them locally, but I thought it might be easier to ship them to him. The order arrived quickly and well packaged and he said they are "delicious!". I am 100% satisfied with my order from ebeehoney.com. My order was complete, the flavors were terrific, and the prices were reasonable. I have already recommended ebeehoney to friends and family. Love this sight. Very Happy with the service and product received. Quality product and fast shipping. Great prices. Some of the best I've found. We ordered 150 stix and chose 10 flavors so we received 15 or each flavor. Not disappointed with any. A must have around the house as a sweet pick me up! So listen, I'm not kidding about this. The best thing you can do with microwave popcorn is put honey on it. Trust me. The honey sticks are just the right amount for a bowl of popcorn, and you pretty much can't go wrong with the flavors. I love these, I love playing with the flavors. These honey sticks were soooooo delicious! I ordered them for my boyfriend and he loved them, as did I! The honey was so fresh, and the flavors were amazing! We will definitely be ordering them again! Thanks so much ebeehoney!!! The Honey.com web site was easy to use. It has a large selection of purchase options. The order arrived before I expected and they kept in touch via e-mail regarding the status of my order. All in all I would use Honey.com again for future orders. These honey sticks are Amazing! Excellent flavors and a huge variety, so you never get tired of eating them! I tried them all and they all actually taste really good, there were no flavors I wouldn''t order again! I have ordered a couple of times now after just finding you online late in December. I am addicted to honey stix :) They are perfect for teas, to drizzle on fruit and ice cream, for oatmeal and toast, and straight out of the straw. My 17-year-old son thinks they are fabulous. My personal favorite is Star Thistle, absolutely the best tasting honey EVER! I have shared some stix and your site with friends that have already placed their own orders. Great product, great price, fast shipping...THANKS!